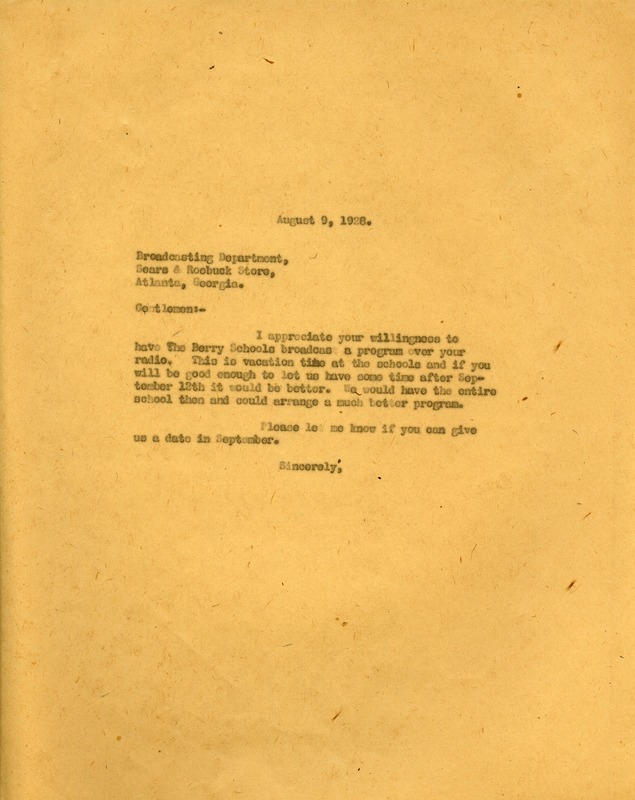 Martha writes to the Sears Roebuck Broadcasting Department glad for their willingness to have the schools broadcast, and as if it would be possible to be after September 12th when the school is not on vacation. Miss Martha Berry, “MB66_8_16_001.jpg.” Martha Berry Digital Archive. Eds. Schlitz, Stephanie A., Aaron Jackson, et al. Mount Berry: Berry College, 2012. accessed April 21, 2019, https://mbda.berry.edu/items/show/6789.